The Borderplex, which encompasses West Texas, Northern Mexico and Southern New Mexico, is one of the most dynamic growth areas in North America. As one of the region’s most established law firms with offices in El Paso and San Antonio, Texas, and Las Cruces, New Mexico, ScottHulse is uniquely qualified and positioned to serve clients in the Borderplex region and throughout the Texas/Mexico trade corridor. The three engines for the Borderplex economy are El Paso, its sister city, Ciudad Juarez, Mexico, and Las Cruces, New Mexico. Foreign Direct Investment Magazine foresaw the recent and ongoing growth of the Borderplex in 2007 when it ranked El Paso and Juarez as the top two “North American Cities of the Future.” The selection was based upon economic potential, cost effectiveness, human resources, quality of life, infrastructure, business friendliness, development and investment promotion. 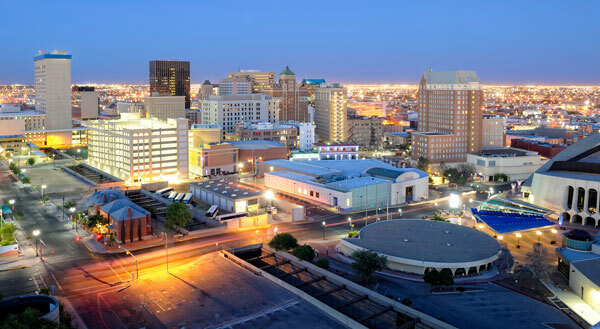 The City of El Paso, with a population of 680,000, is the 19th largest city in the United States and sixth largest city in Texas. The El Paso metropolitan area, which includes both El Paso and Hudspeth counties, has a population of approximately 840,000, making it the 58th largest U.S. metro market. However, the Borderplex region, which also encompasses Las Cruces and Juarez, has a combined population of more than 2.7 million and is the second largest metro area on the U.S./Mexico border. Five international ports of entry connect the Borderplex with Juarez and central northern Mexico, facilitating more than 20 million crossings annually. Our knowledge of Mexico law and U.S./Mexico customs and import/export laws, combined with our ability to provide licensed legal representation in Mexico, enables us to provide convenient, efficient and effective oversight, coordination, and implementation of U.S./Mexico legal activities for clients, thus easing the challenges of doing cross-border business, including mergers and acquisitions. During the national recession at the end of the last decade, a Wall Street Journal special report featured El Paso as one of seven places in the U.S. “that took different approaches to economic development and came out ahead.” Major factors in the region’s growth and development have been a large, skilled labor force and a favorable business climate coupled with a high quality of life and a low cost of living. Over the past 20 years, the Borderplex has held great appeal to both large and mid-size manufacturers moving to capitalize on the NAFTA trade agreement with twin-plant maquiladora facilities. National and international awareness of the total economic value and quality of life in the Borderplex, however, has skyrocketed – a result of increased media coverage, the expansion of Fort Bliss, the creation of the Medical Center of the Americas, the return of many large manufacturers from China to Mexico, and the ongoing renaissance and redevelopment of downtown El Paso. 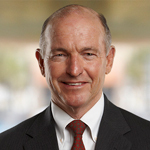 Helen of Troy Limited and El Paso Electric Company, both publicly owned companies, are headquartered in El Paso. National companies with a strong presence in El Paso include among others Automatic Data Processing, Inc. (ADP), Western Refining, and Union Pacific Railroad. Numerous large companies such as Dish Network, Charles Schwab, and Prudential have also opened call centers and technical support centers in El Paso to capitalize on the area’s uniquely skilled workforce, which includes the largest concentration of bilingual workers in the Western Hemisphere. The Borderplex also hosts hundreds of manufacturing plants. National and multinational manufacturers with a presence in the Borderplex include Foxconn, Electrolux, Hoover, Toro, Lexmark, Flextronics, Johnson Controls, Wistron, Visteon, Bosch, Boeing, Siemens, Sumitomo, Cardinal Health, TE Connectivity, Lear Corporation, Delphi, Scientific Atlanta, and Elcoteq. Las Cruces is also headquarters for nearby Spaceport America, the world’s first purpose-built commercial spaceport which is home to Virgin Galactic and SpaceX. El Paso’s growth in recent years has been driven largely by the major expansion of Fort Bliss, which is widely considered to be the most valuable military installation in North America. Additional contributing factors include the continued strength of maquiladoras, which have benefited as many manufacturers have reduce their reliance on Asia, growth and expansion of the University of Texas at El Paso (UTEP), a robust real estate market, and the entry of many Mexico businesses into the El Paso market. The Borderplex Alliance, a regional economic development group, is also working aggressively to attract other businesses in a variety of sectors, including aerospace and defense, life sciences, advanced manufacturing and logistics, business services, and tourism. The crown jewel of El Paso’s downtown redevelopment is a new world-class, award-winning ballpark, home of the El Paso Chihuahuas, a AAA Minor League Baseball team. Other projects currently being developed include a $180-million multi-purpose arena, a Mexican-American Cultural Center, and a new children’s museum, all of which will be located in the downtown area. These projects are cornerstones of a $470-million “Quality of Life” bond which voters approved in 2012. The quality of life for current and future generations of Borderplex residents has been greatly enhanced by the opening of the Texas Tech University Health Sciences Center Paul L. Foster School of Medicine which, along with University Medical Center, anchors the Medical Center of the Americas (MCA), an integrated complex of medical facilities. The Texas Tech University Health Sciences Center Paul L. Foster School of Medicine is one of only two four-year medical schools opened in the U.S. in the last 25 years and the first in Texas in nearly three decades. MCA is also the site of the El Paso Children’s Hospital, which opened in 2012, and the new Cardwell Collaborative, a biomedical research park. The Medical Center of the Americas (MCA) Foundation, a 501(c)3 nonprofit organization, is working to lead the development of the MCA campus and advance biomedical innovation in the Paso del Norte region. The Foundation’s mission is to position the Paso del Norte region as the global leader of health delivery, education and research, concentrating on issues unique to the Hispanic, border and military populations. MCA development is expected to attract many healthcare-related research and development businesses to the area. UTEP and New Mexico State University (NMSU) are among the more than a dozen universities and colleges in the Borderplex, providing vast opportunities for undergraduate, graduate, and continuing education studies. With the ongoing business and industrial expansion, a strong commercial and residential real estate market, and an excellent quality of life, the Borderplex has experienced solid growth during a time when many areas of the U.S. continue to face uncertainty. As established, local businesses expand to serve this growing marketplace and new businesses, large and small, enter the Borderplex, ScottHulse is well positioned and committed to helping these businesses capitalize on this growth, while also adding value to the community.